Check out those who’ve sampled the Chongi experience. We couldn’t say it better. “I was apprehensive about taking up a martial art again as some of my movements are slightly impaired after a spinal injury, but at Team Chongi there is a real “can do” attitude and everyone is encouraged to join in and just do their best. Mark is a really good coach. He pushes us all to our physical limits, knows his trade, communicates well and is an all round friendly bloke. It’s always been a dream of mine to fight professionally and through the club, I’ve been able to reach my goals. I grew up in this area and have trained with Chongi for several years now. 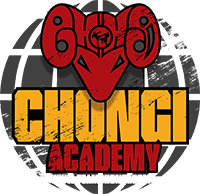 It was through the inspiration of Team Chongi that I had my first inter club Thai boxing fight and also took part in amateur mma and BJJ comps. I have gone on to expand my martial arts experience to a point where I’ve now turned pro and won my first fight. I have access to the experience of a team of elite coaches such as Mark Russell – who has fought the best stand up fighters in the world during his time as a professional and achieved 4 times world thai boxing champion as well as being a K1 fighter. We’ve also got Chris Coltrane, a black belt in BJJ who competes and wins on a national and international scene. They both have a vast amount of experience, are professional, offer sound advice and are very particular about the way they teach others. It’s through them that I’ve learnt so much about how to prepare physically and mentally for competition. We’ve also got Lee Murray who oversees the amateur boxing with Mark. Not forgetting Will Robinson, the strength and conditioning expert who takes time away from his own personal development as a competing sportsman to make sure I’m in the best shape I can be when preparing for a fight. Will writes me bespoke programmes and monitors the targets he sets for me in the lead up to the fight, makes sure I don’t over train and that I eat right too. We were delighted with the results of our pre wedding PITT Programme. Leila – I wanted to be super confident, knowing that I’d fit perfectly into my dress. In just four weeks, I reduced my body fat by 6%, lost 7lbs of fat mass and gained 10lbs of lean muscle. Dan – in four weeks I reduced my body fat percentage by 2.2%, had a fat loss of 3lbs and increased my muscle mass by 2.7 lbs. take a look at our pictures. The results speak for themselves! I first started in 2010. I wanted to learn self-defence and really enjoyed my first session. All the people are really nice and so are the coaches. Four years later I still go every week to train and I also coach every week too. I really like Chongi because I have made lots of friends. Coaching is also very good – the little children are very nice to work with. Age 36, lives in Crewe with her three children, widowed June 2012. “I joined Team Chongi in September 2012 along with my two young sons, after losing my husband to alcoholism in the June of that year. We’d been married for 13 years and things had been really tough. My main reasons for joining were to get fit and to give my boys a focus & hobby. It helps us deal with the anger and the loss we’ve all experienced as the result of my husband’s, (Darren) – and their Dad’s death. I’ve dropped two dress sizes, taken part in Tough Mudders and had a couple of competition fights. It’s given me confidence and a healthy outlook on life. We are all healthier, fitter and have a fantastic set of friends and a real sense of belonging. I’ve lost weight and now set regular challenges to keep me motivated. When I started going to Team Chongi it was just to get fit. I was overweight at just under 12 stone and needed a challenge. I fancied trying the Thai boxing classes! As I started to get fitter I enjoyed the classes more and took up training in amateur boxing and BJJ too. The variety of classes meant that I could fit something in around my shifts. A year later I had lost 3 stone! When I started, I never had any intention to compete but that’s the road I’ve gone down. For me I need a goal to train for and, win or lose, each time I’ve entered the ring I’ve come out stronger and smarter thanks to Team Chongi. Whilst studying at university I started boxing at Crewe ABC, in attempt to keep fit out of hockey season. Once I trained regularly I caught the bug and after a few fights and obtaining my full ABAE boxing coach award, I decided I would try my hand at something new. I started Muay Thai training at Chongi and, even though I had the experience of a contact sport, the transition was not as easy as anyone would expect. The concept of adding legs in combinations was baffling at first but I soon got the hang of it and enjoyed competing at inter-club competitions. Having started both sports late in life I still enjoy to train in both disciplines but now look to add my next challenge of BJJ. It’s early days yet but I enjoy challenging my body and mind on a new level. Who knows what my next challenge will be….. Croquet anyone?! The Team Chongi are keen to extend this approach and regularly collaborate in the community too. As a positive role model, with a vast amount of experience to draw on, Mark and his team deliver effective programmes that make a real difference in the Community. I commend Mark, Sarah and the team for their commitment to improving the life chances of young people. Over a number of years and in various arenas, they have demonstrated their ability to use sport to connect with young people, communicate belief in their potential and encourage self-discipline. We recently referred one of our yr9 students to Mark and the team as he was continually making behavioural choices that was putting him at risk of exclusion. As a result of their dedication and mentoring, tough-love yet tangible care, we have witnessed a massive shift in his attitude and behaviour. He has developed a number of strategies to recognise his emotions and control his behaviour; he is now more likely to make positive choices. His self-regulation has progressed significantly and he has a more positive outlook towards both school and life. We’re incredibly grateful to the team for their passion & experience, skill and dedication. We highly recommend their work. Mark has recently delivered two whole day sessions to our Lower School pupils, in which he has introduced them to the sport of Thai Boxing. Mark has a very professional manner with the pupils and his sessions have proved to be very popular, so much so, that other, older school pupils have been asking if the too can take part in one of Mark’s sessions. Mark has proved himself to be reliable and dependable and his sessions have been such a success that we have asked him to come into school again to deliver further taster days.